The kidneys serve the vital function of balancing the body’s fluids and removing excess water and waste from your blood stream to be disposed of as urine. Kidney Disease, also known as renal disease, occurs when your kidneys aren’t able to effectively rid the body of fluid waste. It can cause the individual to feel fatigue, have trouble concentrating and sleeping, a poor appetite, frequent urination, and other symptoms. Kidney Disease is oftentimes caused by pre-existing medical conditions such as Diabetes and Hypertension, and is usually how the disease is detected. Late detection of the disease can lead to heart disease and kidney failure that requires dialysis or kidney transplant surgery. 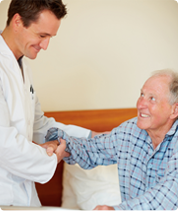 If your Elderly or Senior loved one has Chronic Kidney Disease, Glomerulonephritis, Polycystic Kidney Disease, or the recent removal of a kidney tumor, the caregivers at A-1 Home Care can provide dedicated and experienced in-home care to help your loved one better manage their condition. Our Kidney Tumor caregivers can assist your loved one with personal care as they recuperate from the removal of a kidney tumor or recovery from chemotherapy for a malignant tumor. If your loved one has recently had a kidney transplant surgery, our After Surgery caregivers can provide dedicated living assistance for as long as necessary. 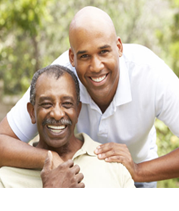 Our Kidney Disease caregivers can help your loved one keep a tight control over their blood pressure or blood sugar levels, eat healthily, and exercise regularly – tasks that are essential to your loved one’s well-being and more doable with motivation from an experienced in-home caregiver. All of our Kidney Disease & Tumor caregivers, nurse aides, companions, and home helpers must have at least 2 years of prior at home caregiving experience, verifiable professional references, a National Background Check/DMV Check, Tuberculosis testing, Malpractice/Liability insurance, First Aid/CPR training, and a personal interview with our office staff. We serve the OC communities of Costa Mesa, Fountain Valley, Westminster, Corona Del Mar, Laguna Beach, Irvine, Tustin, Garden Grove, Seal Beach, Los Alamitos, Huntington Beach, Newport Beach, Anaheim Hills, Yorba Linda, Fullerton, La Mirada, Villa Park, Buena Park, and others in Orange County. If your loved one has long term insurance coverage, we accept Penn Treaty, John Hancock, MetLife Insurance, Veteran Administration, CALPERS, and Bankers’ Life & Casualty. 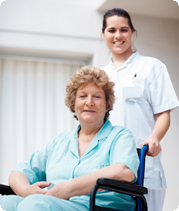 To interview and hire a compassionate caregiver today, CALL us at 949-650-3800 for a FREE in home assessment.